Jógeirr and Áfríðr(?) had this stone erected in memory of Hróðelfr of ... -bergi's brother. Ásmundr carved the runes. 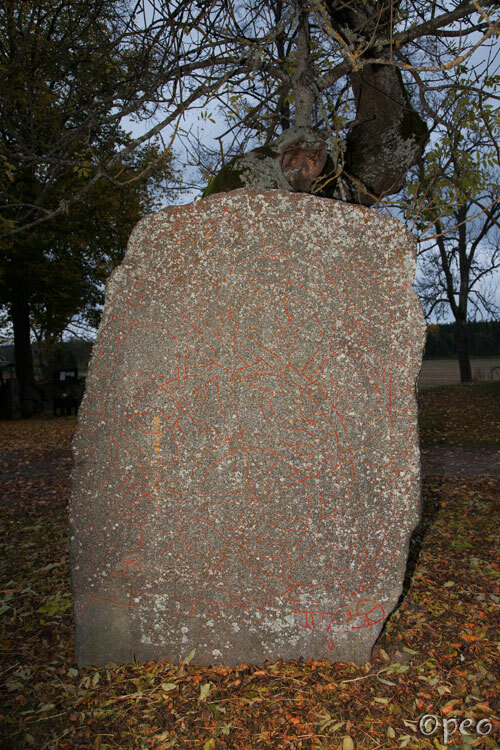 A tall rune stone standing just outside the churchyard of Holm church.